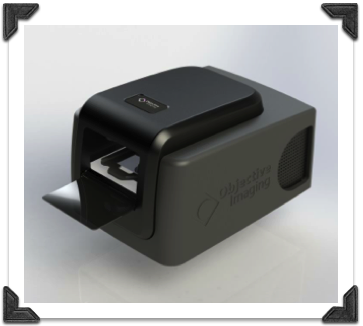 Fast, affordable whole slide imaging from Objective Imaging! 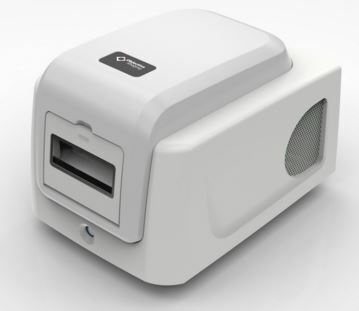 The new Glissando Pathology Slide Scanner from Objective Imaging delivers fast, high quality whole slide image acquisition in an affordable package. The compact footprint and simple, intuitive user interface make the Glissando scanner the ideal platform for quick scanning of standard microscope slides. The Glissando Slide Scanner integrates the latest automation technologies and high quality components with our proven TurboscanTM scanning engine to provide an effective, reliable—and affordable—tool for the rapid acquisition of Whole Slide Images (WSI) from standard glass microscope slides. 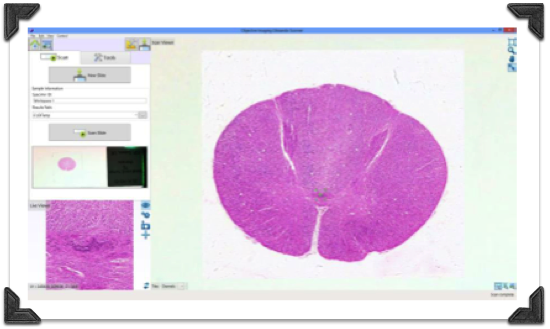 The easy-to-use Glissando software’s intuitive design and automated tissue detection, focus setup, and barcode reading ensure excellent results, right out of the box. Slide Capacity – Up to two 25 mm X 75mm glass slides.